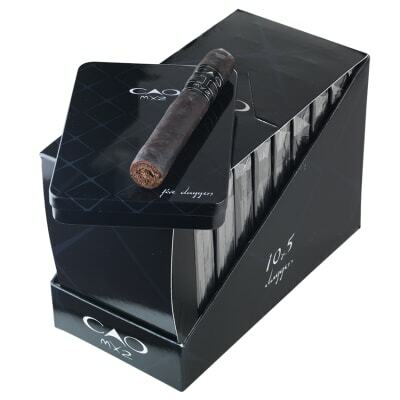 Designed for the 'seasoned' cigar smoker, CAO Mx2 Daggers 10/5 premium cigars (Maduro times 2) use TWO aged Maduro wrappers with a rich, complex and seductively smooth blend that combines the best tobaccos from six different countries. 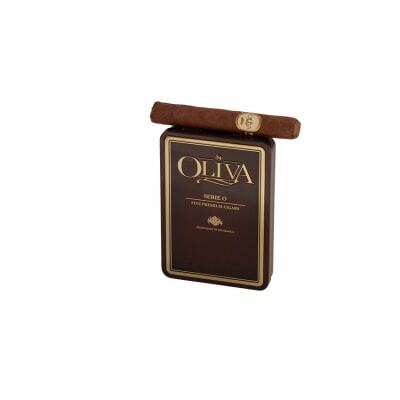 The outer wrapper is a well-fermented Connecticut Broadleaf Maduro, while the inner wrapper (the binder) is a zesty Brazilian Maduro leaf. They surround a sweet and spicy mix of exquisite tobaccos from Nicaragua, Honduras, Peru and the Dominican Republic. One of CAO's BEST! 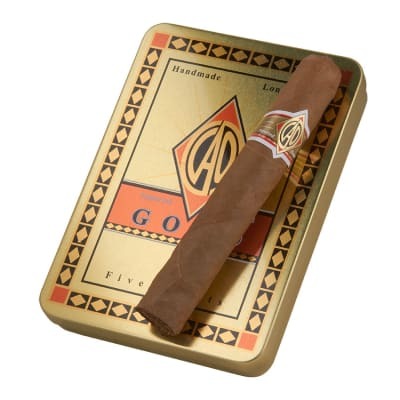 Designed for the 'seasoned' cigar smoker, CAO Mx2 Daggers (5) premium cigars (Maduro times 2) use TWO aged Maduro wrappers with a rich, complex and seductively smooth blend that combines the best tobaccos from six different countries. 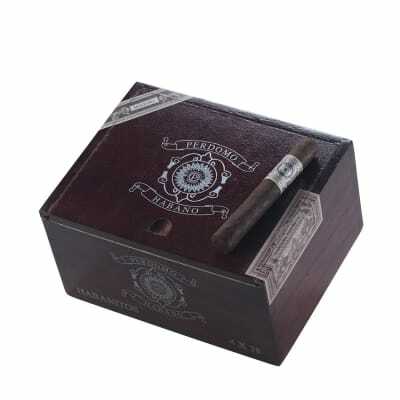 The outer wrapper is a well-fermented Connecticut Broadleaf Maduro, while the inner wrapper (the binder) is a zesty Brazilian Maduro leaf. 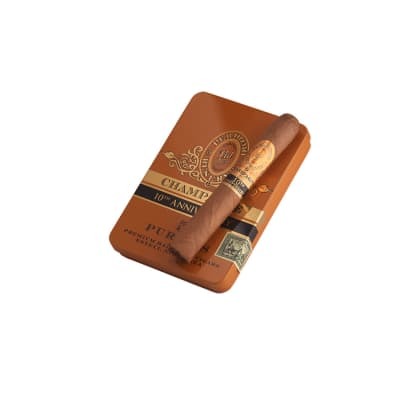 They surround a sweet and spicy mix of exquisite tobaccos from Nicaragua, Honduras, Peru and the Dominican Republic. One of CAO's BEST! These are great when you crave maduro. Very flavorful. This MX2 Dagger the most amazing small cigar I ve ever had. I often share them with friends and they always get extremely high praise. I ve been smoking these little guys in my hot tub and on my deck while grilling for more than five years and I ve yet to experience an issue with poor draw. I give it 9 out of 10 for it s class! The best I have had!!! My father turned me on to these and I havent had any other cigar that has the same aroma like these. The taste is smooth and satisfying, they burn long and even. The size is perfect for someone who cant sit and enjoy a cigar for an hour. This is one cigar that will always be on hand. The X line from CAO is incredible! CAO is always consistent and this Dagger is no different. Quite simply at the top of all small cigars. A must have.